Being a homeowner or buying a home is one of the most expensive purchases you will make in your life and has both its advantages and disadvantages. The freedom to build and design your home is great except when it comes time to repair your home. Drafty windows, clogged gutters, and the occasional roof repair are simply part of what to expect when owning a home. That is why C&C Family Roofing is here to help alleviate some of those stresses starting with the roof. Roof repairs in Fort Washington or any other surrounding areas can be expensive. At C&C Family Roofing we inspect your roof for leaks and offer affordable solutions to repair your existing roof. Roofing in Fort Washington or in the surrounding areas can be a daunting task so it is best to leave it to an experienced roofing contractor in Fort Washington like C&C Family Roofing. A leaking roof can cause havoc not just to your home, but to your wallet as well. By ignoring a leaking roof you may be putting your family and home at risk. Rain water that enters into the home through the roof often leads to mold, rotting wood and rusted metal, causing long term problems and expensive repairs. It is always important when you need someone to work on your home that they have the knowledge and experience of different roofing systems. Our team of experienced roofing contractors will be able to identify where the leaks are coming from and what is necessary to not only fix the problem, but to prevent it from happening again. And for those extreme situations, C&C Family Roofing offers emergency roof repair in Fort Washington for your leaky roof when you need us the most. 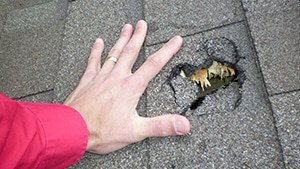 When you have an older roof and it has a leak, you may think you need a new roof, however this is not always the case. Many factors such as failing seals, caulking and flashings are often causes for leaky roofs. If they are only minor leaks then usually they can be easily repaired. Due to the various seasons in the greater Philadelphia area it is important your roof can withstand freezing and sweltering temperatures. At C&C Family roofing, we are always upfront and honest about our work. 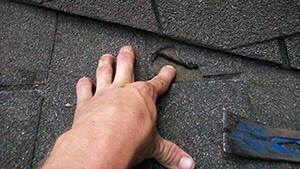 If you have a leaky roof and it only needs to be patched we will tell you. If your roof doesn’t need more work than is necessary then we will tell you. Sometimes leaks may not even come from the roof. Sometimes it can come from damaged siding or plumbing. Our roofing experts always lookout for these types of situations as well, to ensure your money isn’t wasted and the root problem is fixed. Our goal is always 100% customer satisfaction and we want to get the job done right the first time, every time. Do I Need A New Roof Or My Roof Leak Repaired? If your small leak turns into a big repair, C&C Family Roofing is the leading roofing company for Fort Washington roof repair and roof replacement in the area. Our team of qualified roofing contractors in Fort Washington stand by their work to make sure your roof repair or roof replacement is as seamless and painless as possible. With over 25 years in business, our roofing installers are well versed in both residential and commercial roofing systems. 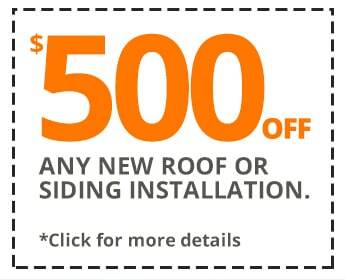 At C&C Family Roofing we use only what we believe are the best products in the industry at a price you can afford. Give C&C Family Roofing a call today for your FREE new roof estimate! Serving Abington, Huntingdon Valley, Ambler, Jenkintown, Rockledge, Elkins Park, Cheltenham, Fort Washington, Bucks County, Montgomery County, Delaware County, Chester County, Berks County, Cherry Hill, Princeton, Marlton, Burlington and surrounding areas!